Fast and Furious star, Paul Walker is dead! The tragic car crash that killed Paul Walker took place in Santa Clarita, Cali. while he was volunteering with his charity, Reach Out Worldwide to raise money to help those affected by the storm in the Philippines. His family and friends are heartbroken by the tragedy, as are we. His rep just released a statement about his death, and says "He was a passenger in a friend's car, in which both lost their lives." Witnesses on the scene originally said they thought the car was Paul's ... but have since confirmed it was not. The rep added that Paul was "attending a charity event for his organization Reach Out Worldwide." after a single-car accident and explosion in Southern California. 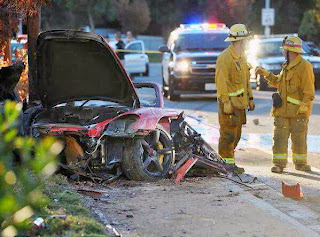 The accident happened in Santa Clarita, north of Los Angeles and according to multiple sources connected to Paul, the actor was in a Porsche when the driver somehow lost control and slammed into a post or a tree ... and then the car burst into flames. years old. Sources close to Paul tell us he was in Santa Clarita for a car show to support the Philippines typhoon relief effort, and had gone for a ride with a friend in a new Porsche GT. The accident happened during that test spin. Paul took a pic with a fan at the charity event, and the guy posted it ... noting how happy Walker was just hours before the crash. 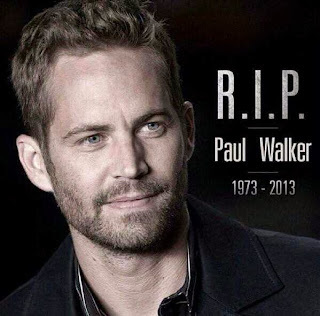 The fan added, "The world lost an angel in Paul. He dedicated so much of his life to helping disadvantaged kids and people who are in need. I'm gonna do whatever I can to keep Paul's goals for the charity alive."